In the wake of the Internet of Things, are we going to become the next connected objects? This central question, which touches on the “Internet of Me”, was discussed at the 4th edition of the e -Health Day. It was held this Friday at TechnoArk Sierre. Nearly 180 specialists of digital health were gathered for the occasion . All presentations are available on the Klewel video portal. “The aim of the e-Health Day is to share ideas , experiences and best practices related to digital health. 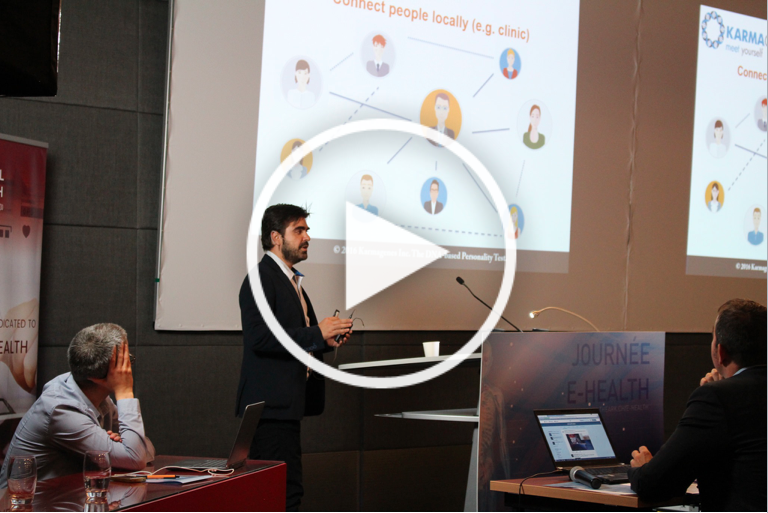 Year after year, it allows the different players in the health system to explore concrete opportunities , “said Sébastien Mabillard , coordinator of Swiss Digital Health and moderator of the conference. This edition focuses on the link between the patient and the healthcare professionals who treat them. The internet has revolutionized our contemporary societies. We are happy to talk about the Internet of Things where our everyday appliances (fridge , TV , heating …) can communicate autonomously via the web to regulate itself , feed itself or interact online. This revolution is linked to the development of wireless connections and the ability to have real-time information. The rise of the mobile phone and that of data analysis also pushed the Medicine to look closely to the connected field of health. This should generate a turnover of about $ 30 billion by 2018. Digital health products are not subject to the same trade rules as others.”The patient does not want to know he’s sick . Give him therefore everyday apps that remind him he is sick, it is not necessarily good. It is rather his entourage who is interested in this disease. The patient, he wants to live. The applications must therefore be more interested in the entourage of patients” according to Frédéric Briguet. In general, it is to find a new breath, out of aspects relating to the mobile , dashboards and data. Tracks are possible by integrating augmented reality or nanotechnology. Roche Diabetes Care is the worldwide leader in blood glucose monitoring with a focus on self monitoring and self management of diabetes. Roches portfolio includes state of the art blood glucose mters, insulin pumps and diabetes management and decision support solutions (PC and mobile apps, cloud based) connecting people with diabetes (PwD) and health care professionals (HCP) for effective and efficient management of diabetes. Chris Fidyk presented patientslikeme for its part, a sort of Facebook of patients ( direct link to the webcast) . This social network , which started in the United States , has a wide coverage . Its development and its practices have particularly interested the audience. The afternoon of the e -Health Day has to present concrete projects. Life Corp . detailed his combination connected while Karmagenes highlighted its platform of personality tests and his new game . Both projects are developed in Valais, with the support of The Ark Foundation . The day ended with a round table on the relationship between ePatients and eDocteurs. 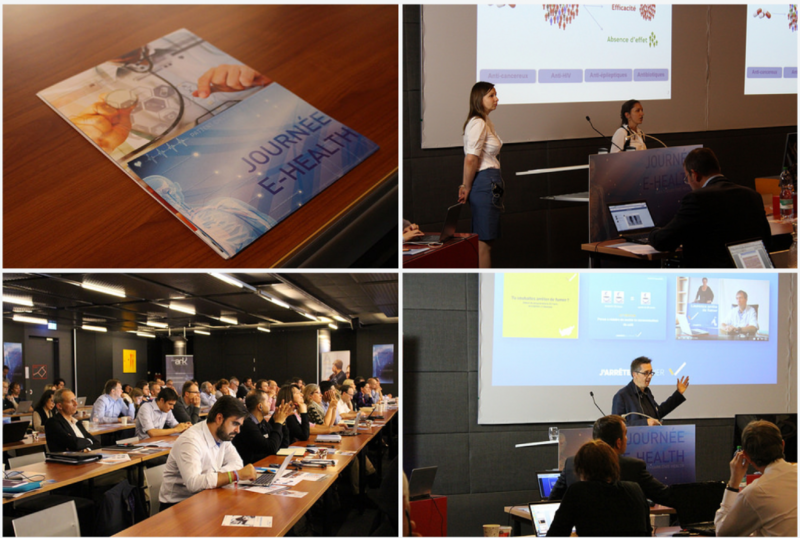 This report on e-Health Day 2016 is inspired by the blog post written in french by Cédric Luisier of The Ark. The article of the “Nouvelliste” related to this event. The photo album Flickr of TheArk the foundation in connection with this event. The next edition of e -Health Day is scheduled June 9, 2017.